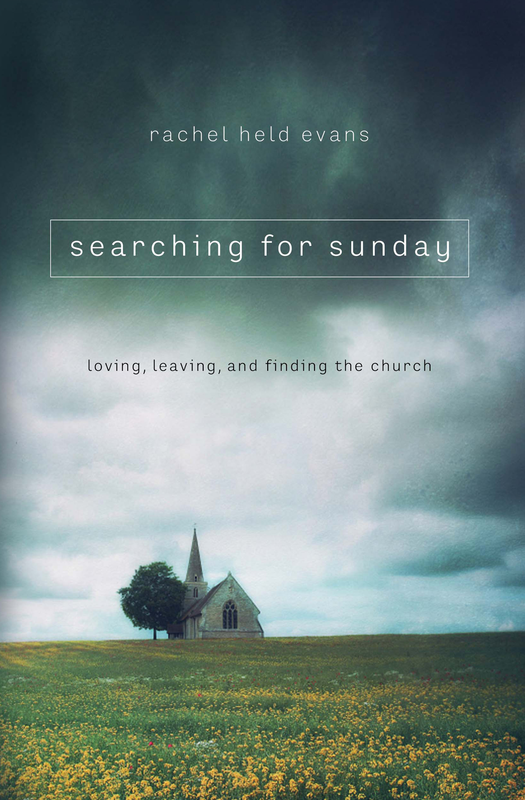 I was very lucky this Spring, because I got an early copy of Rachel Held Evans’ latest book: Searching For Sunday. Much of the criticism of this book, namely from those that accuse Rachel of slamming the door on the church, comes from the planet of the Things-That-Are-So-Untrue-It-Makes-You-Wonder-If-They-Really-Read-It-Or-If-They-Are-Worried-You-Will. When I read this book, I heard the heartbeat of it. A progression like an honest conversation between two people in love, Rachel and the Church. She is truthful in her struggles with it, frank in the ways she’s been wounded by it, but generously, generously, she gives it grace, love, acceptance, and wills herself to see it for it’s goodness, its’ core, its’ heart: the table where hungry souls gather. Like many who will read this book, my “church story” runs parallel with Rachel’s. I was there for the Chubby Bunny games and I was there in the baptismal pool being in front of my church, declaring my fidelity to a crowd cheering. I was there when my brain swelled against many church teachings like bread in the oven against its’ twine. And I was there the day the Church hurt me, and countless others, in the most brutal of ways- World Vision, a dark moment that Rachel honors with an entire chapter. And with maturity and wisdom and as I said above, grace, Rachel is intent on searching for the pinpricks of light. The bloodlines of church run through its’ seven sacraments: Baptism, Confession, Holy Orders, Communion, Confirmation, Anointing of the Sick, and Marriage. In these sacraments, Rachel divides her book, describing them with a poetic voice rooted in scripture, Church history and her own complex story, Rachel exposes the beauty of a church that has been shrouded in darkness for a long time, doing so in a way that draws in both the heart and mind. What I’m trying to say here is that she holds both: the light and the dark of church, offering them up to us, the readers, the searchers, the doubters, the outsiders, as an image of God’s imperfect people. Reminding us that though it rubs up against our better instincts to go it alone, we cannot be Christians by ourselves. I have to talk about the sentence that shook me awake to myself. Rachel writes that after the World Vision calamity, she fell into “as deep a religious depression as I had ever known.” She began by shrugging off evangelicalism, sitting in her rage and sadness, taking a break. But she discovered, as she had in previous debacles with evangelicalism, that in her move out from this corner of Christianity, she was slowly stepping away from the faith altogether, one day, one decision, at a time. She sorted through it all and in the end reached what I can only call the height of maturity, the great depth of her faithfulness. That sentence wrecked me. For many of us still nursing wounds, it should serve as a reminder that we are stronger than our cynicism. That we cannot heal until we learn to lift our lean on it. A raised Baptist, I was a bit taken aback by how much the section on baptism affected me. Of all the seven, it was the one I thought I knew most about, having been dunked in our church pool at the age of eleven, having spent the eight weeks prior in classes preparing my soul for that very moment. 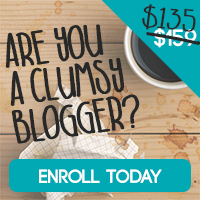 (I wrote briefly about that when I participated in Addie Zierman’s synchroblog.) But maybe my memory is foggy and I just don’t remember learning this. Maybe I wasn’t told. Or maybe I simply hadn’t heard it told in such beautiful prose. Rachel recounts a story of Martin Luther who, in his most grief stricken moments, would repeat to himself: “Martin, be calm, you are baptized.” If I had read this on my own, I would’ve thought it bizarre that he used that term, baptized, instead of, say, saved or Christian. Baptism feels so outward and ritualistic. But Rachel explains the significance of it, writing: “ultimately, baptism is a naming. When Jesus rose from the waters of the Jordan, a voice from Heaven declared, “This is my son, whom I love; with him I am well-pleased.” Jesus did not begin to be loved at the moment of his baptism; nor did he cease to be loved when his baptism became a memory. Baptism simply named the reality of his existing and unending belovedness.” And so it is with you, so it is with me. We are brought into this family not simply by a ceremonial ritual, but by a God who bore us into it. In baptism, we put on our name. In church, be it in a river or in a few drops on the forehead or on a stage before millions, we are baptized. That is something to hang on to. This book is a must read. Especially given all we’ve gone through. It doesn’t dole out pretty lies about the church in order to puff up her image, there is not a broom to be found sweeping difficult history under the rug. 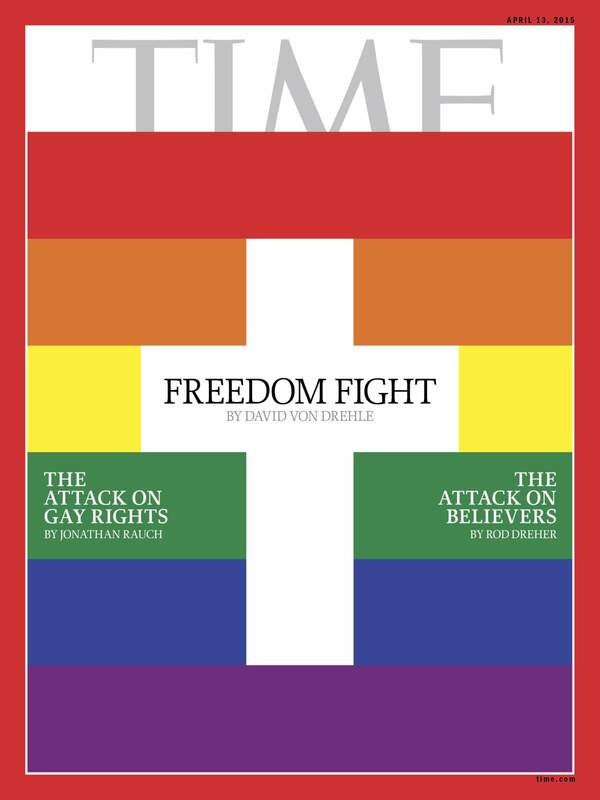 It doesn’t strike against the church, again and again, joining an already loud chorus of writers. Instead, it offers Hope. Rest. Compassion. Grace. It is a story that will makes you feel heard and understood and then inspired. It is hilarious with her’ familiar stories of Chubby Bunny games and youth group nights of introvert hell; tender with her stories of her marriage to Dan; breathtakingly poetic in her plays on the Biblical stories, recasting them in a gripping, moving light. 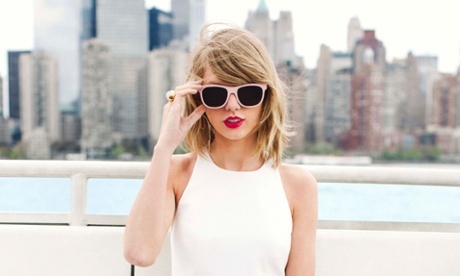 Also, there’s Taylor Swift. 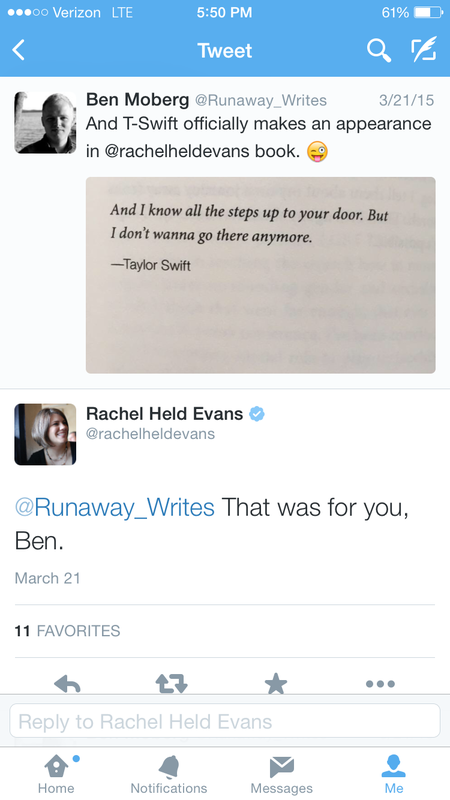 And I have it on good authority that Rachel included T-Swiz as a tribute to me. To be completely honest, I have a sneaking suspicion that Rachel wrote this entire book for me. But maybe that’s just because she wrote it for all of us. The Searchers, the Dreamers, the Outcasts, the Alone. Those who long for a Sunday that smells like a feast, looks like a table with room enough for all. This book is available today. Do yourself an enormous favor and order it here!